There's an N-Word you apparently write at your own risk if you're in the establishment media. It's "nationalization." The Associated Press's Stephen Bernard, with the help of old reliables Jeannine Aversa and Martin Crutsinger, blew through almost 800 words (link is dynamic; 12:49 p.m. version is saved here for future reference, is now authored by Crutsinger, and is longer than what I originally read) about the deal between Uncle Sam and Citigroup, under which the government could end up with a 36% ownership stake -- almost certainly enough, as Citi's largest shareholder, to impose its will -- without mentioning the term. 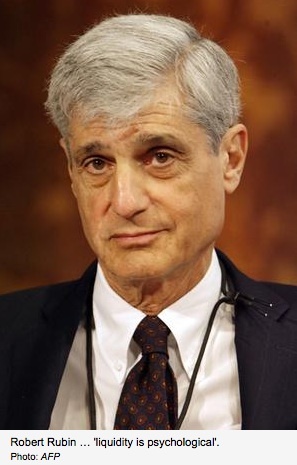 Last month, Robert Rubin, a former Treasury Secretary who was a longtime Citigroup board member, and Win Bischoff, most recently chairman at Citigroup, both announced their retirement from the company. Gee, until recently he was known as Democratic Treasury Secretary under Democrat Bill Clinton. New York Times reporter Leslie Kaufman, who works for a paper that prints over one million copies every day, lectured Americans for using wastefully cushy toilet paper in Thursday's "What Mr. Whipple Didn't Say: Softer Paper Is Costly to Forests." Americans like their toilet tissue soft: exotic confections that are silken, thick and hot-air-fluffed. The national obsession with soft paper has driven the growth of brands like Cottonelle Ultra, Quilted Northern Ultra and Charmin Ultra -- which in 2008 alone increased its sales by 40 percent in some markets, according to Information Resources, Inc., a marketing research firm. But fluffiness comes at a price: millions of trees harvested in North America and in Latin American countries, including some percentage of trees from rare old-growth forests in Canada. Although toilet tissue can be made at similar cost from recycled material, it is the fiber taken from standing trees that help give it that plush feel, and most large manufacturers rely on them. Other countries are far less picky about toilet tissue. In many European nations, a rough sheet of paper is deemed sufficient. Other countries are also more willing to use toilet tissue made in part or exclusively from recycled paper. The New York Times seems to think there was no such thing as partisanship in Washington, D.C. until conservative Republicans came around in the 1990s to invent it. White House reporter Sheryl Gay Stolberg's front-page Sunday Week in Review story, "Cutting the President Slack Is So Old School," is another example of that ideological blindness, impying that former House Speaker Newt Gingrich personally invented partisanship. ....the concept of the "loyal opposition" came to mean that a president, especially a new one elected by comfortable majority, could expect cooperation from the other side, in deference to the will of the voters. But in the partisan politics of recent decades, another view developed, advanced by Congressional leaders like Newt Gingrich, the former House speaker, that the minority party has the right, even obligation, to stick to its ideological principles. Advantage Rick Santelli -- and Larry Kudlow. 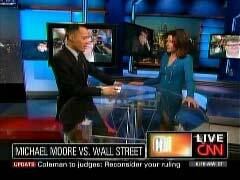 CNBC reporter Santelli's Thursday morning "Shout Heard Round the World" (CNBC's term) objecting to the Obama administration's mortgage modification program on the floor of the Chicago Mercantile Exchange quickly went viral, and struck two nerves. First, it ignited a groundswell of support from the over 90% of the of the nation that pays its bills and plays by the (normal) rules. The other nerve it struck was at the White House, whose spokesman Robert Gibbs struck back with a level of poorly concealed fury and contempt that I don't think I've seen publicly displayed by any other administration in my lifetime. 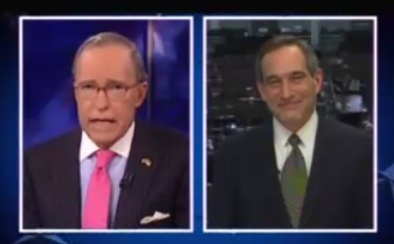 Larry Kudlow had Santelli as a guest on CNBC's Kudlow Report Friday night (CNBC video here; YouTube here [HT Scott's Slant]). As one would fully expect by this time, Santelli made a few huge, emotionally-charged points of his own. The gratifying stunner is Kudlow's passion in the final third of the interview, where he sounded the alarm over freedom of the press, basic respect, and bullying. Looking around the web, at least at this point, this interview has gained relatively little exposure, leaving the distinct and incorrect impression that Gibbs has the rhetorical upper hand. South Carolina Congressman James Clyburn appeared on WIS-TV yesterday in a round table setting to discuss how the stimulus bill will affect South Carolina. During the debate he stated that he was insulted by opposition to the plan; specifically targeting GOP Governors of Southern States by implying that their opposition was a "slap in the face of African-Americans" as if race was a determining factor. "The governor of Louisiana expressed opposition. Has the highest African-American population in the country. Governor of Mississippi expressed opposition. The governor of Texas, and the governor of South Carolina. 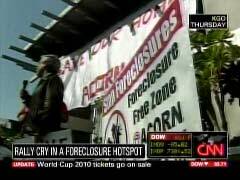 On Friday’s Newsroom program, CNN anchor Heidi Collins failed to mention ACORN’s role in sponsoring a rally against foreclosures in an Oakland, California neighborhood. During her brief, video clips from the protest clearly showed the presence of the group’s signs, name, and logo. Yesterday, The New York Times Company suspended its quarterly dividend. The company's stock slid 5% to close at $3.51, yet another all-time low in the company's nearly 23 years as a public company in its current form (the Times has been a public company since the 1960s). Henry Blodget at Silicon Valley Insider noted, even before yesterday's announcement and share-price dip, that the company's share price is lower than the $4 cost of its flagship publication's Sunday newspaper. Amy Sullivan’s article on Time.com on Thursday, “The Catholic Crusade Against a Mythical Abortion Bill,” tried to downplay President Obama’s past and current support for abortion, and tried to use a technicality to “prove” that there is no chance of passage for the staunchly pro-abortion Freedom of Choice Act (FOCA): “...FOCA has also provided ammunition for those on the right who want to paint Obama as ‘the most pro-abortion president ever.’ It’s been less than a month since he took office, but so far the President has given social conservatives little evidence to back up that charge. He did repeal the Mexico City policy banning federal funds to foreign family planning organizations that provide abortion referrals or services — but so did Bill Clinton.” In reality, the Obama adminstration’s record on the issue consists of much more than merely support for legislative proposals and signing executive orders. New York Times metro-beat reporter Fernanda Santos seems to truly believe that the left-wing housing activist group ACORN is some bottom-up citizens organization conducting a new civil rights "resistance movement" against unfair foreclosures. That's judging by her credulous story, "A Bid to Link Arms Against Eviction -- Grass-Roots Effort Takes Shape To Support Families Facing Foreclosure." There's nothing in Santos's story Wednesday about the fact that the leader of this alleged "grass-roots effort," ACORN, receives funding from the federal government through various federal programs and third-party groups, or that it registered thousands and thousands of ineligible voters during the last presidential campaign. Instead, readers were treated to 1,260 words of "power to the people" sloganeering straight from ACORN without a single dissenting voice. 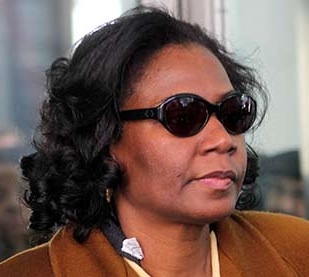 Former Chicago Democratic Alderman Arenda Troutman was sentenced today to four years in prison for mail and tax fraud. In covering her sentencing, both the Chicago Sun-Times article (picture at right is cropped from that article) and Jeff Coen's Breaking News piece at the Chicago Tribune failed to mention that Troutman is a Democrat. Now it would be easy to say, "But of course she's a Democrat; she's from Chicago." Okay, but the Sun-Times, in five other reports spread over almost two years, mentioned her party only once. What's more, the Tribune's coverage quoted Assistant U.S. Atty. Joseph Alesia saying that Troutman had been on "a five-year crime spree. .... Even by Chicago standards, it's (what she did is) no small crime." Logically, this would mean that even by Chicago Democratic Party standards, what Troutman did stood out. Troutman's "obvious" Democratic Party affiliation also doesn't exonerate the Associated Press, whose stories go national and worldwide, And yes, there are plenty of people around the country and in the rest of the world who do not know that Democrats own Windy City politics (a little reminder every once in a while to those who do know wouldn't hurt either).